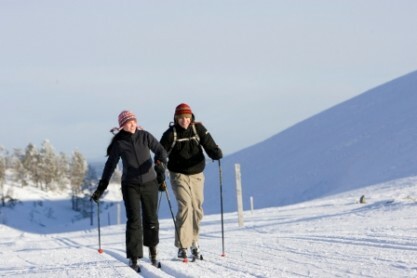 For those that love the feel of wind in their hair and snow under their feet you can try out 1 of the 2 skiing options here in Saariselka. The total length of the ski tracks is 230km with 34km of those illuminated for night time sessions. They are open from October to May and offer you the opportunity to see different part of Saariselka than most visitors to this lovely land. The 5km long track is made ready for skiers as soon as the weather is right and they make use of their excellent snow production system that was put in place in 2004. For adults the cost is £29 and for children aged between 6 and 11 the price is £19. We recommend doing this on your day of arrival for 3 day Santa’s Magic and on your adventure day for 4 day Santa’s Spectacular breaks.